It is not unusual for truck drivers to be exhausted, work long hours, and feel rushed. The problem with this is that with large commercial vehicles the stakes are incredibly high when something goes wrong. Their size and weight makes these vehicles extremely dangerous. Add to this massive amounts of freight and it becomes even more dangerous. Smaller vehicles do not stand a chance in an accident with a huge truck. Trucking companies must hire drivers who are responsible and qualified to handle these stressful circumstances and stay safe. Because the trucking company is responsible for training and monitoring drivers also, they can often be held responsible for any accidents that happen. It is in their best interest to make sure that drivers stay safe. But trucking companies are also very motivated by profit, so safety precautions and maintenance can often fall by the wayside by less diligent trucking companies in the rush to get one load done and the next on its way. Truck drivers will usually adhere to the standard that their employers insist on, so it important that trucking companies promote safe driving. Maintaining accurate logs, random drug testing, a valid commercial driver’s license are all required by federal law. These rules are laid out in the Federal Motor Carrier Regulations. States can add their own regulations as well. These include the necessity for sufficient training and the duty of trucking companies to provide drivers with the right equipment needed to safely do their jobs. In addition, drivers must exercise reasonable care when behind the wheel. Trucking companies know what is legally expected of them. Yet some willfully ignore the law in favor of convenience and profit. Complying with some of the rules can slow down business and cost more money. Companies can get away with paying unlicensed drivers less money, or overlooking a failed drug test instead of taking the time to replace that driver. Until there’s an accident, these issues can go unnoticed. Some companies even think that settling with an injured driver is preferable and more cost efficient than following the law. Truck companies contribute to unsafe conditions that are more likely to cause terrible accidents when they do these things. Trucking companies are partly at fault for accidents that do occur. Unsafe drivers whose negligence contribute to or cause an accident can also be held responsible. Truck accidents should be avoided at all costs. The disparity in size between tractor trailers and passenger vehicles is so great that injuries that do occur are likely to be devastating and are likelier to happen to those who are in the smaller vehicle. Truck drivers in many cases can walk away from a serious accident unharmed or with minor injuries. Truck accident victims and their families deserve to have their rights protected. Wrongful death, permanent disability, or serious injuries that require expensive and ongoing medical treatment are all issues that families might have to contend with in the wake of a truck accident. In addition to physical injuries, victims experience financial losses related to their injuries, recovery, and being unable to work, and the mental and emotional anguish that accompanies these experiences. If you have been involved in an accident with a large commercial vehicle, contact the Missouri truck accident attorneys at the Zevan and Davidson Law Firm. 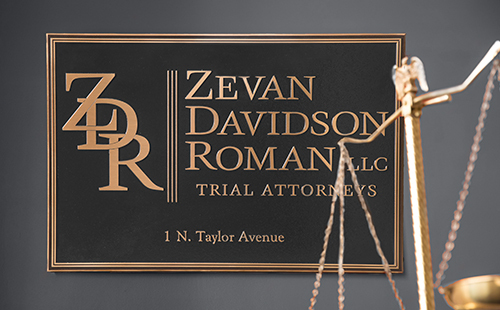 You deserve compensation for all of your losses and Zevan and Davidson can help you to get it. Fill out our online contact form to schedule a free consultation.